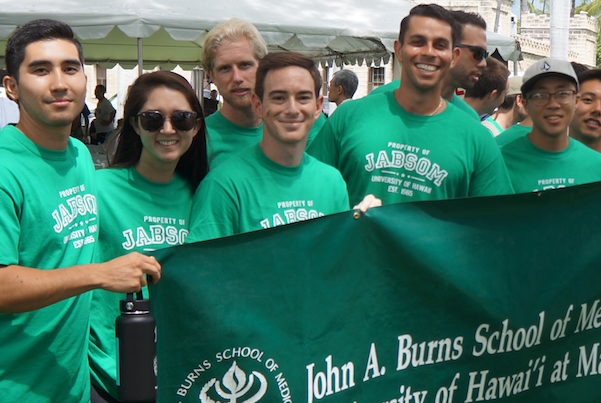 Pictured: JABSOM MD students at the Men’s March Against Violence in Honolulu. 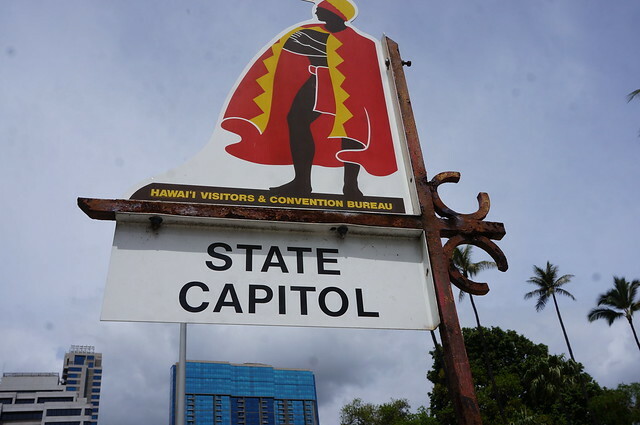 The 24th Annual Men’s March Against Violence brought together both men and women to demonstrate that they are committed to stemming the violence that kills too many of our family members, friends and co-workers in Hawai’i each year. The statistics are chilling. Five 911 calls each hour in Hawai’i are pleas for help from domestic violence. One in five employed adults is a victim of domestic violence, leading to absence from work and lower productivity. In a single year, more than 9,000 domestic violence survivors were served by the organizations who try to help them in Hawai’i — and there are untold numbers of victims who never report their injuries or seek help, often out of fear. At the University of Hawai’i (UH), John A. Burn School of Medicine (JABSOM) Dean Jerris Hedges has been a visible community leader working to increase awareness of family violence. He believes that everyone — but physicians especially — must teach themselves to be attentive to signs of suffering, especially from those who don’t or can’t speak up. His example is one that is being embraced by MD student leaders, who this year adopted the slogan #JABSOMWALKSWITHYOU.